The printing of this book was made possible by the wonderful backers of the 2016 Polyhedra Party Kickstarter Campaign. You are invited to look at the beautiful photos of geometric sculptures in this 223 page book. If they spark your curiosity to learn more about these fascinating forms, there is an Introduction to Polyhedra chapter, which breaks down the parts of a polyhedron and shows how the shapes relate to each other. Enjoy this sample of pages from the book! 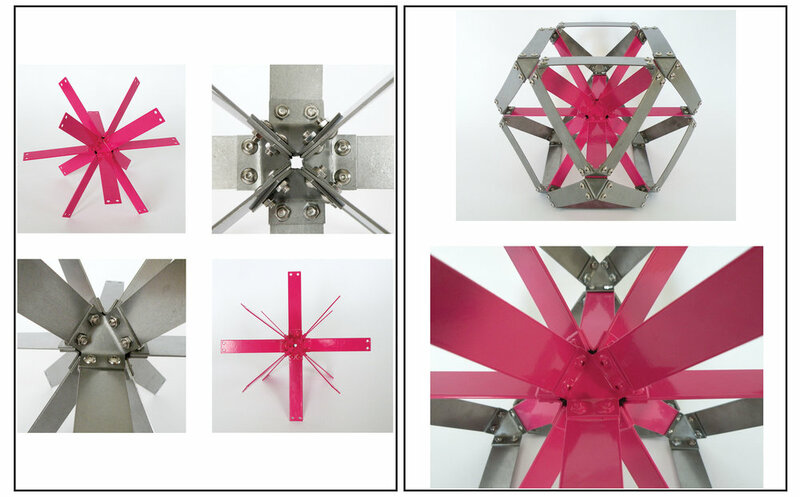 The fascinating photos in Polyhedra: Eye Candy to Feed the Mind are of a series of metal sculptures I made for a traveling exhibition called Geometry Playground, while I worked as an Artist-In-Residence for the Exploratorium. Every picture has its own unique play of lines. 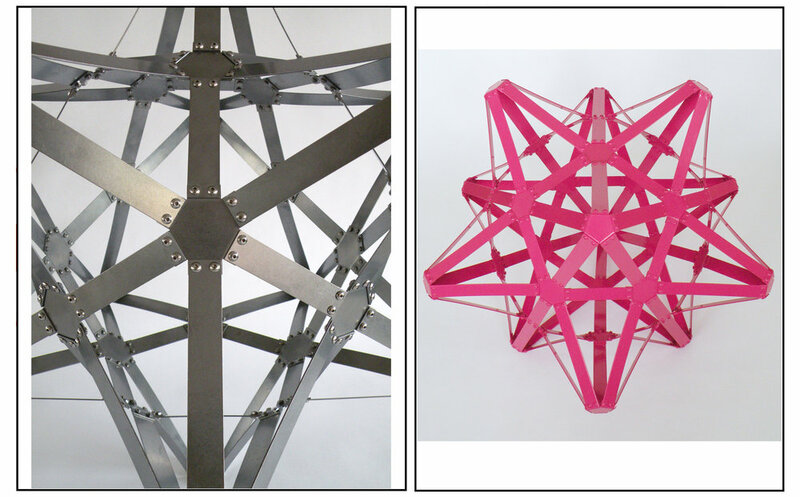 Some emphasize the harmony of geometry, while others reveal the dynamic movement of these intriguing 3D forms. I spent 4 years researching, writing, and making diagrams for the Introduction to Polyhedra chapter. 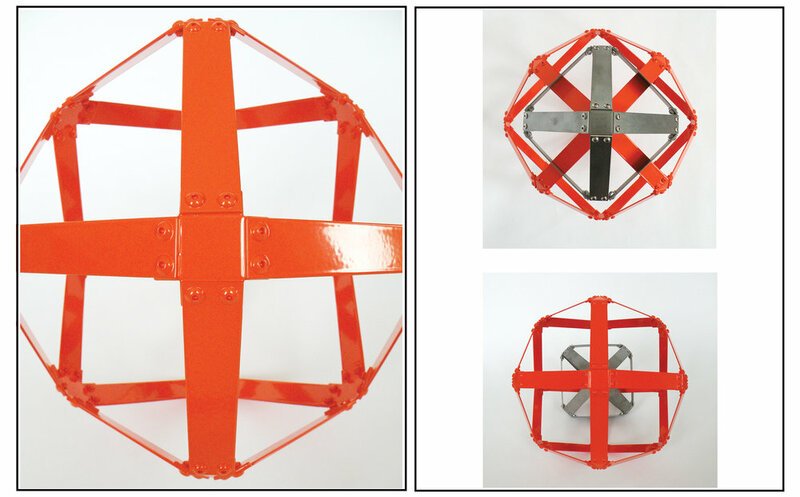 It breaks down the parts of a polyhedron and shows how the shapes relate to each other. Every page uses photos and diagrams to help you understand the concept explained on that page. The light, easy-to-read writing style makes it accessible for both adults and children. Balanced between art and mathematics, these snazzy shapes inspire adults and children who love art, design, and pattern. Teachers, mathematicians, scientists, engineers, computer programmers, designers, and artists who have seen these figures before will be delighted by the uniqueness of the photographs and the playful descriptions. 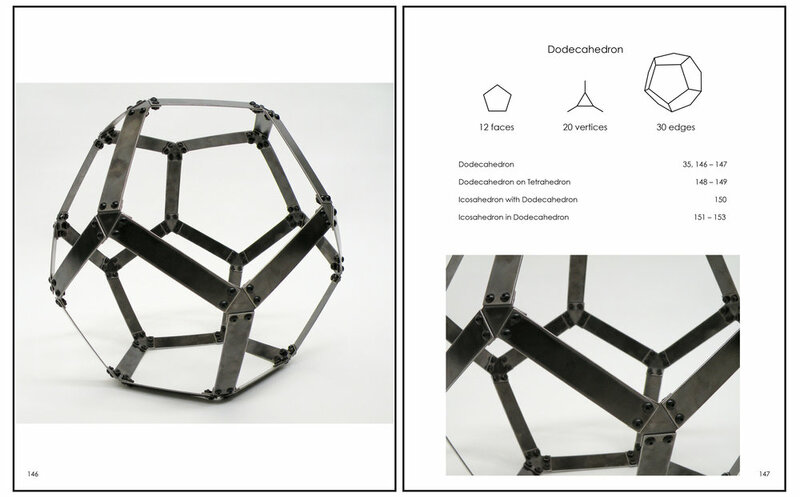 The visual appeal of this book will entice and excite those who are new to polyhedra.